The lead time is 3-5 bussiness day. Hanging lamp Planeta is a modernist product made of one piece of steel, powder coated black matt (RAL 9005). Modern ceiling lamp gives the possibility of any arrangement by individual bending wheels. Modern Planeta lamps are an unusual form and original visual effect. 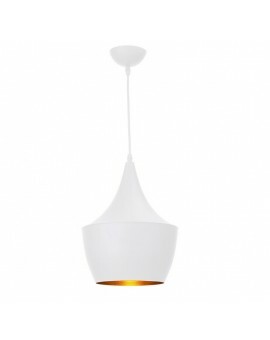 Modern lamps are ideal for both modern, classic and industrial rooms, vintage or loft spaces. Hanging lamps Planet is an element that will emphasize the character of the interior. It is possible to make a Planeta lamp in a different color.Feel free to contact us!